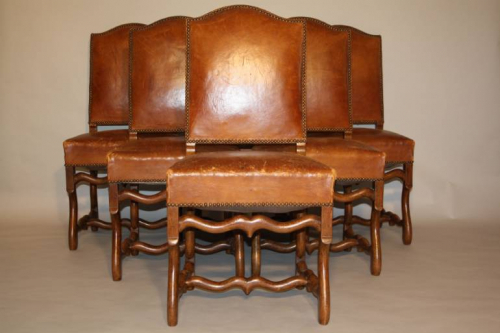 A great set of six Os de Mouton tan leather dining chairs. French c1950. The original leahter upholstery has good wear and age but no splits or openings. Very comfortable and great for both country or urban style rooms. Height to top of chair is 101cm and chair seat height is 52cm.